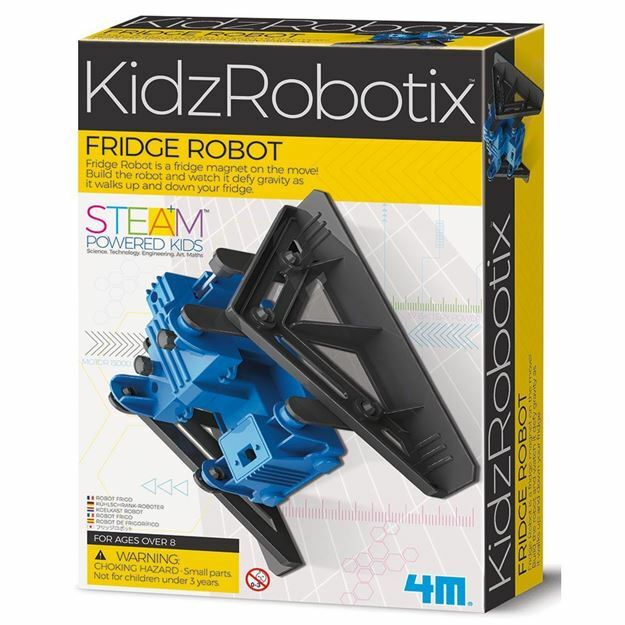 The 4M Fridge Robot is a fridge magnet on the move! Build the robot and watch it defy gravity as it walks up and down your fridge. Required: a small crosshead screwdriver and 2 1.5V AAA batteries (not included). Age 8+ years. Part of the KidzRobotix range. Distributed in New Zealand by Holdson.